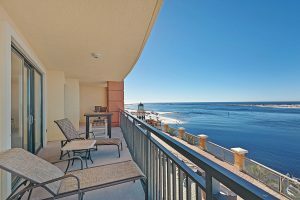 Emerald Grande condo unit W226 is for sale in this iconic Destin Florida condominium project. 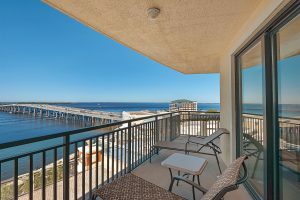 It lives like a home with four large bedrooms, four full bathrooms and eye-drawing balcony views of magnificent Destin waterways. Emerald Grande? See it from the distance as you are driving or flying into town with its architectural uniqueness. 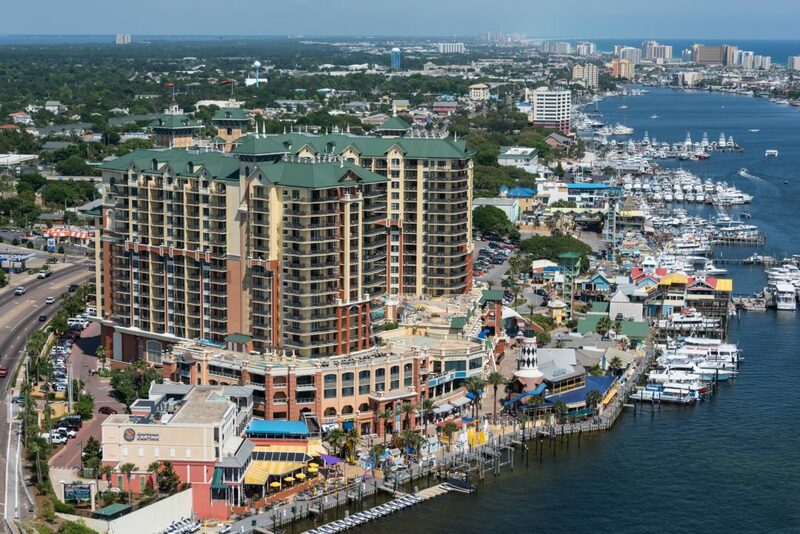 It’s the masterpiece of Destin Florida and the landmark hub of the city, situated on Destin Harbor with views of Crab Island boaters, East Pass, the Gulf of Mexico, the Choctawhatchee Bay and the Destin Bridge. 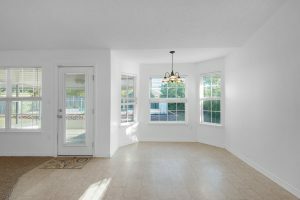 This splendid four bedroom condo has the high ceilings, crown molding, upscale furnishings and spacious bedrooms. Upgrades include designed furnishings, custom paint, new balcony furniture and custom window shades. 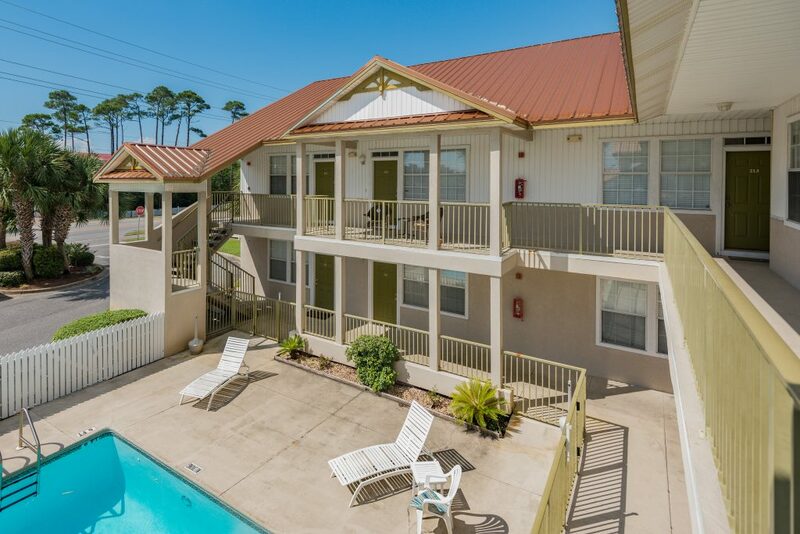 Enjoy a panoramic view from all windows and balconies that put you in the postcard of sand, emerald blue waters and Destin Florida sunshine. 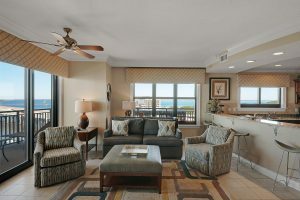 This spacious Emerald Grande condo could be your full-time residence, a second or third home, or your Florida get-away. Numerous amenities are available for diverse tastes nearby and on site in HarborWalk Village. 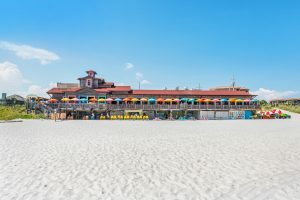 Find restaurants like the famous McGuire’s Irish Pub, Crab Island Cantina, Harry T’s, Jimmy Buffett’s Margaritaville, Jackacudas Seafood Sushi, Coyote Ugly Saloon and more. Shopping? There are numerous specialty shops overlooking the water, galleries, charter fishing boats, private beach, concerts, fireworks and weekly events. 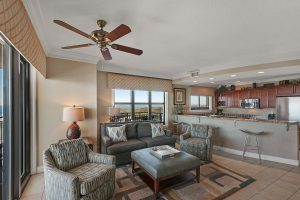 On the same floor of this luxury condo is the fitness center and the Destin Spa at Emerald Grande. Choose from various pools, bars and nightclubs, or just relax and go to the sugar white beach of East Pass. The lifestyle you imagined is here. Owning at Emerald Grande means you won’t have to leave, unless you want to. 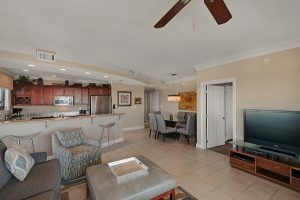 Watch the virtual tour of 10 Harbor Boulevard Unit W226 at Emerald Grande. The Rulnick Executive Center in Miramar Plaza has two executive offices available for lease. 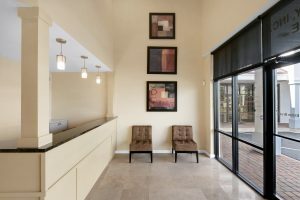 This elegant commercial suite is the ultimate location to rent your private commercial office space. Run your business uninterrupted in an ambience designed for thinking, decisions, and communication. 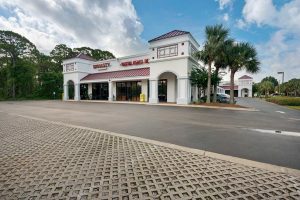 Miramar Plaza is in Miramar Beach, Florida in South Walton County on U.S. Highway 98, Emerald Coast Parkway, the major thoroughfare between Destin, Florida and Santa Rosa Beach, Florida. Share professional space with other respected firms in a quiet, upscale atmosphere. Use the large “you mean business” conference room with flat screen monitor at your disposal. 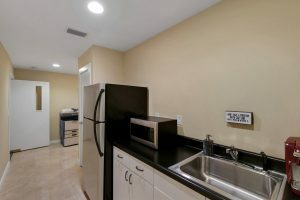 The kitchen pantry, microwave and refrigerator are yours for your executive snacks and meals. Starbucks coffee and a selection of teas are complimentary. There is a dramatic lobby space to welcome your clients and the candy jar is always full. 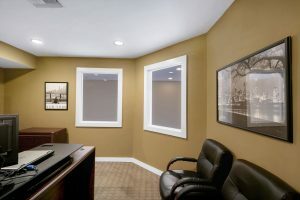 Your private office has a hall window and glass door for an open feeling, or pull down the blinds for more quietude. Internet, water, electricity are included. Furnishings are available at no extra charge. There are two offices currently available for lease. The front workstation may also be available for the right fit and business venue. 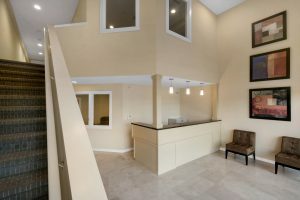 Rentals start at $464 for upstairs office, $489 starting lease for the first floor office. 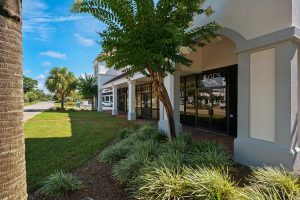 The Rulnick Executive Center is 2.9 miles west of Silver Sands Premium Shopping and 2.5 miles east of Destin Commons. Drive two minutes to the end of the street to the Gulf of Mexico beach. Have lunch in your car watching the waves and rustling sea oats on the sand dunes, or eat at Pompano Joe’s for a relaxing pause in your productive day. Watch the live Miramar Beach cam here. Fulfilling all your after-work needs, there is a plethora of shopping and restaurants for every taste. Miramar Plaza restaurants including Pedro’s Cantina Mexican, Dynasty Chinese and Thai Onion– grab your lunch! Miramar Plaza shopping includes – Ava’s Attic, Boca Boutique, Jeweler, more. 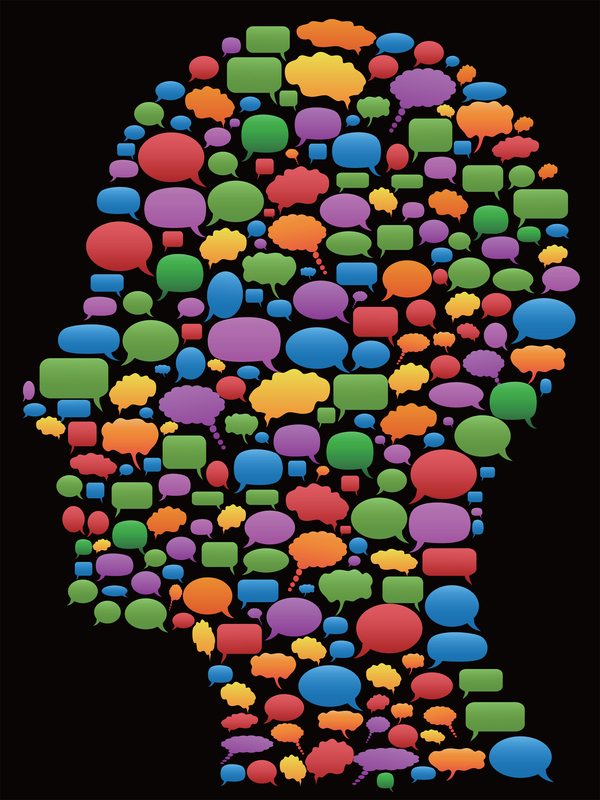 Call to see if your business will be a fit with this quiet group of ultra-professionals. Watch the virtual tour of the Rulnick Executive Center at Miramar Plaza. 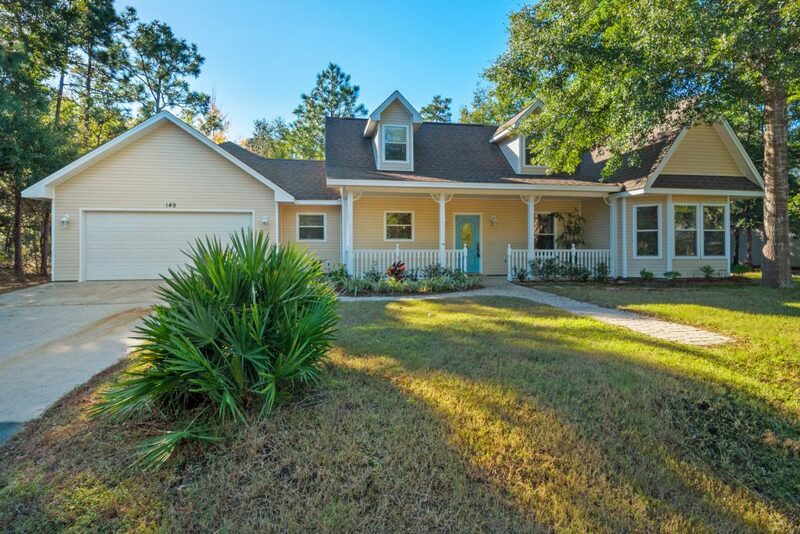 This Elliotts Point home at 118 Ferry Rd., NE, Fort Walton Beach, Florida was approved as a VA Compromise Short Sale. 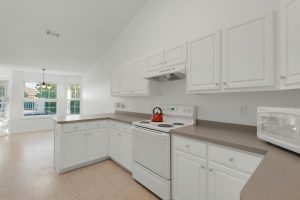 This was not an easy property to sell, even though the short sale approval was easy! The home had multiple active roof leaks and and the roof was covered with tarp and sand bags. The roof design was itself defective. There was aluminum and cloth-covered wiring. The costs to repair the roof and electrical system were about $16,000. The home needed other repairs. The only straightforward way to ensure a buyer could close after short sale approval, was to get a cash buyer. Sure, there are mortgages available for homes that need repair, such as FHA 203K, but they are complex and closing is not guaranteed, especially with a fast time line and closing requirement after short sale approval that is typically 30 days. 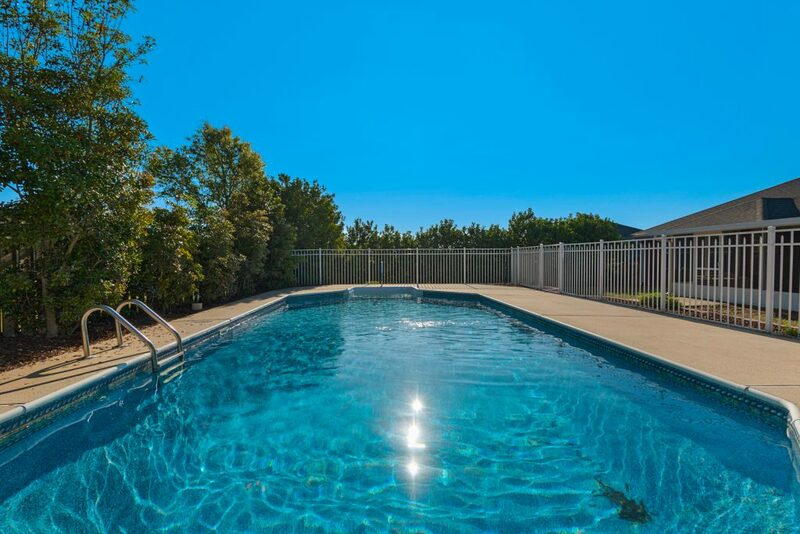 Since we limited the market for the Fort Walton Beach short sale home to only cash buyers we shrunk the pool of interested parties. Two buyers walked due to their home inspections and one buyer simply “defaulted” and failed to close after short sale approval. The fourth buyer closed. 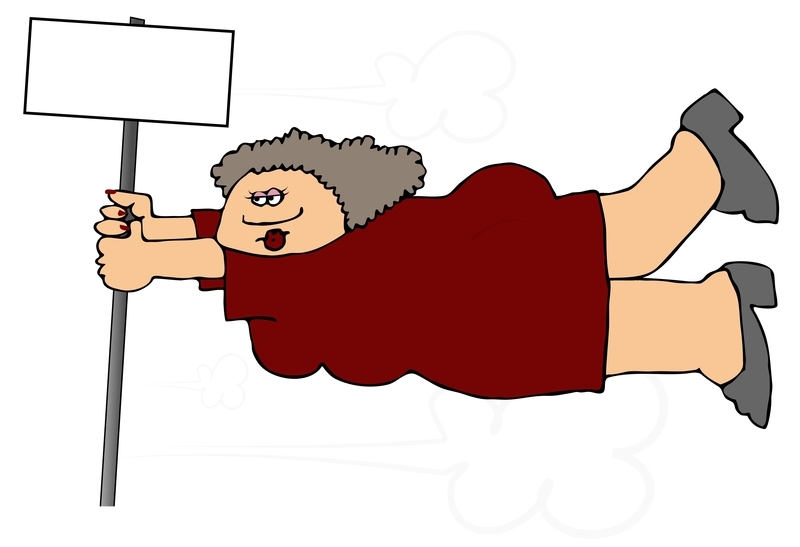 It takes perseverance to accomplish a successful short sale. 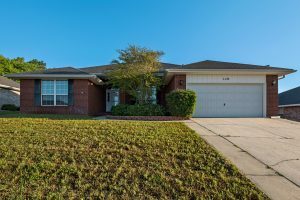 Many current and former Eglin Air Force Base, Hurlburt Field, Duke Field, Whiting Field military personnel have used the VA Compromise Sale as a benefit when hardship hits and they are unable to pay their mortgages. 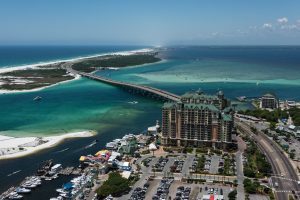 It is an honor to help those current and former military service members who may need to sell their Emerald Coast area property to avoid foreclosure. 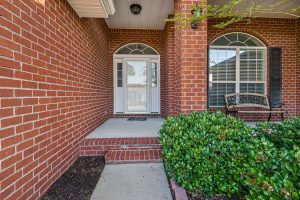 BONUS TO SELLER: Since this was a VA Compromise Sale, the seller was eligible to receive $1500 as a VA relocation benefit. 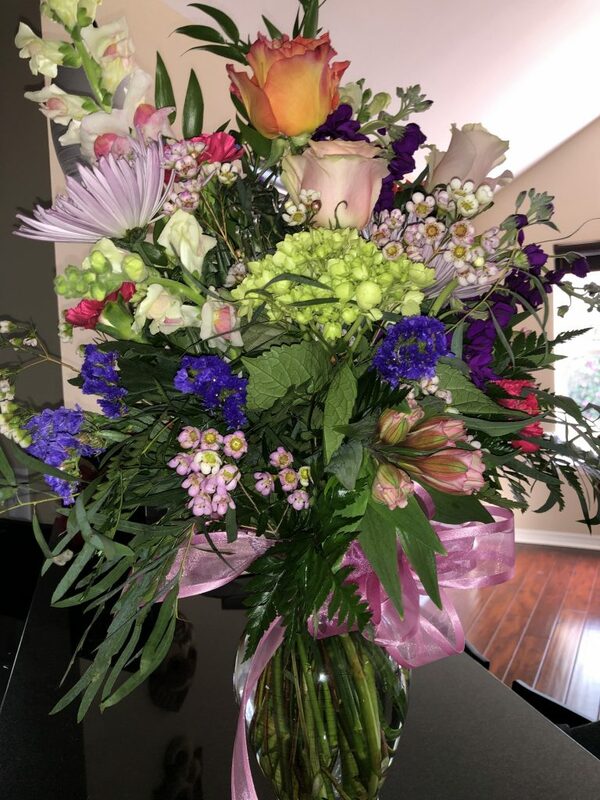 Note: If your agent does not ask for this incentive – you are not going to receive it. I asked. 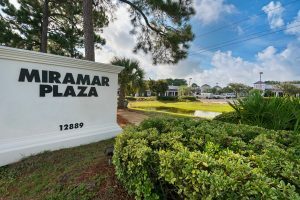 This Miramar Beach Florida condo at Poinciana Place was approved as a short sale in three weeks! Taking only 55 days to go under contract, this Miramar Beach condomium at 320 Scenic Gulf Drive had two liens. What does that mean? There were two mortgages in this case, each with SPS – Select Portfolio Servicing. The property was an investment condo, not a primary residence. The borrower was on time with his payments, but needed to sell for individual circumstances. Some common reasons for short sale include job loss, divorce, death of borrower, medical expenses, relocation and interest rate adjustment increasing the mortgage payment amount, rendering it unaffordable. 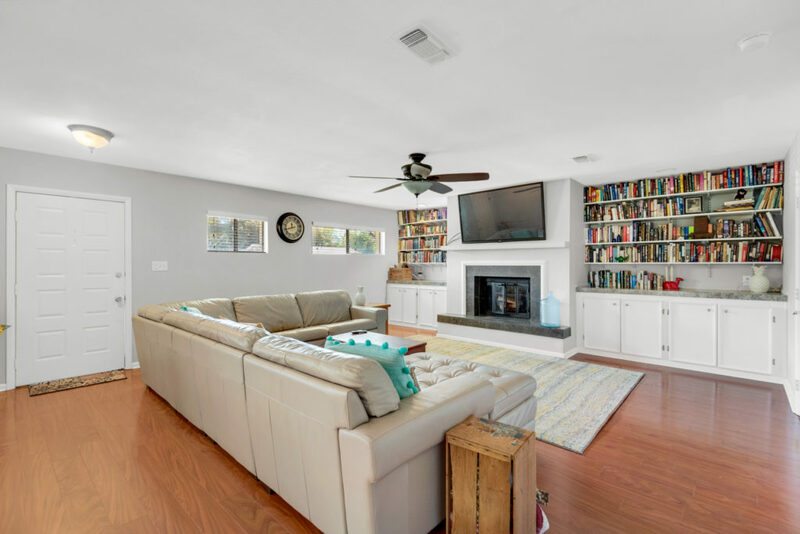 This particular short sale had a senior mortgage lien at SPS with just enough proceeds to pay it in full, leaving a portion of the proceeds to pay a lesser amount to the second mortgage. In a short sale, there are not enough proceeds after sale to pay all liens in full. If you are in a situation where you may need to sell to avoid foreclosure, short sale is an option. Consult with your attorney if you are behind in your mortgage payments and reach out to your lender. If you decide to use short sale to dispose of your real estate on the Emerald Coast, give me a call. I’ll be happy to discuss the ins and outs of the process with you. 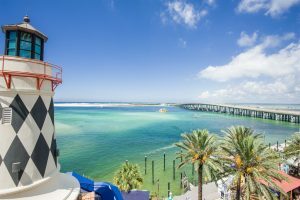 I’ve helped hundreds of Emerald Coast homeowners avoid foreclosure through short sale in the following geographic areas: Miramar Beach, Destin, Santa Rosa Beach, 30A, Crestview, Niceville, Fort Walton Beach, Mary Esther, Navarre, Gulf Breeze, Milton, Freeport, Panama City Beach, Pensacola and more. I may be able to help you, too.